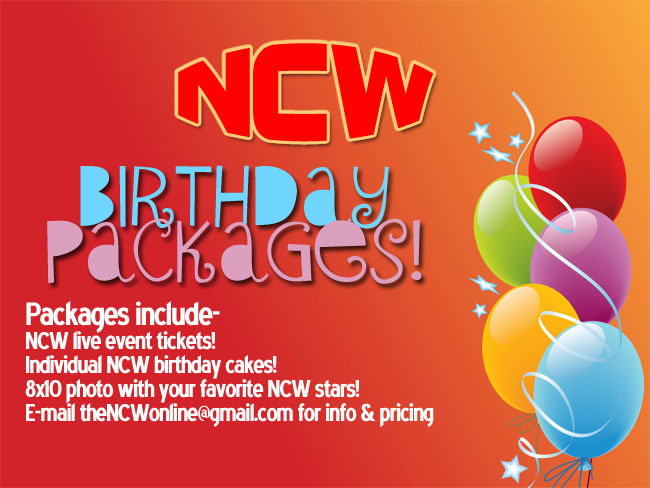 Property of NCW S, M, L, XL T-Shirt ($15 per shirt) for pickup 2/20/2015 and receive a free ticket to NCW COLLISION COURSE 2015 at the Norwood Elks Lodge! 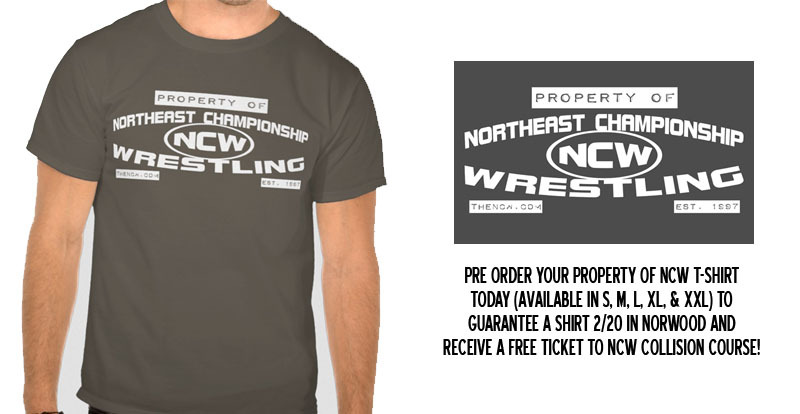 Property of NCW XXL T-Shirt ($18 per shirt) for pickup 2/20/2015 and receive a free ticket to NCW COLLISION COURSE 2015 at the Norwood Elks Lodge! For the out of towners pre order today for guaranteed delivery by 2/28/2015!